Came across this new work from Boston-based artist, Leah Giberson on instagram the other day and had to share. She was just putting the finishing touches on them last week for the upcoming Enormous Tiny Art show (all-original, all-petite art) at Nahcotta in Portsmouth, NH opening Friday September 2, 2016. 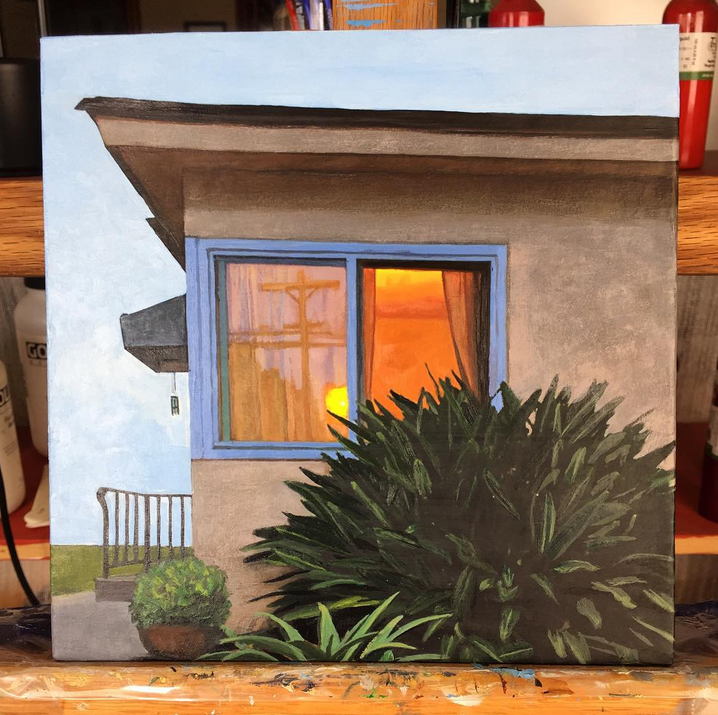 We've always been fans of her suburban-themed work and this new work adds a new dimension. Let's take a look! Visit Leah Giberson online at leahgiberson.com/ and on instagram @leah_giberson.